Andhra University is a state university situated in the Financial Capital of Andhra Pradesh, Vishakhapatnam. The University was formed in the year 1926 under the Madras University Act. Sir C. R. Reddy was its founder Vice-Chancellor and India’s First Vice- president Sarvapalli Radhakrishnan was its second Vice-Chancellor. The University is accredited by National Assessment and Accreditation Council (NAAC) with ‘A’ Grade in April 2002. The University was the first general university in India to get ISO 9001: 2000 certificate in 2006. It started the school of Distance Education in the year 1972. The school offers various courses ranging from certificate courses to Post Graduate courses. 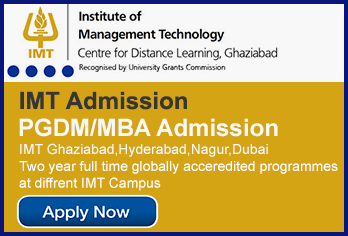 The university is considered the best university for distance MBA programme in India. At total the school of distance education offers 4 UG programs, 5 Certificate courses, 18 PG Programs, 9 PG Diploma courses, 15 Professional Courses and 7 collaborative courses. Printed study material: All the enrolled students are provided with printed study material which can be collected by students from the university or the study centers approved by the university. Personal Counselling: The study material is supplemented by personal counselling and contact programme classes with audio-video aids conducted at the University campus and selected study centers. These programmes are conducted by experts in the field to clear the doubts of the students and enable them to better understand the concept. Reference Books: In addition to above the students can also use standard books and reference books available at the SDE Library, Dr. V. S. Krishna Library in the university campus and also at the select study centers. For taking admission in any distance MBA Programmes offered by the Andhra University the candidate has to first download the form available at the university website. To download the form click here. Admission to any of the programmes offered by Andhra purely on the basis of merit of marks scored in ICET conducted by APSCHE or the test conducted by the School of Distance Education, Andhra University. The applicant must carefully enter the marks in application because any mistake in entering marks may lead to losing the seat. The candidate must have passed the Bachelor’s Degree from Andhra University or other recognized institute with a minimum of 50% marks in aggregate (45% in case of SC/ST/BC candidates). 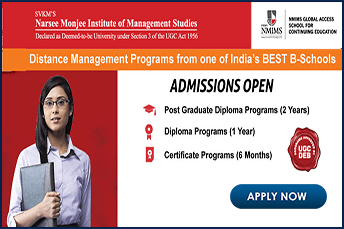 For admission in distance MBA, the candidate must have studied mathematics as a subject at SSC or intermediate level. 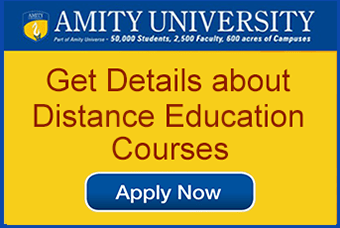 Andhra University is one of the best University offering distance and regular courses of optimum quality. The university has expanded largely in these 90 plus years of service. It has about 121 building spread over an area of 422 acres. The university is well known for its various well organized national and international events in the field of education. University has organized the 95th session of the Indian Science Congress which was inaugurated by then Prime Minister Dr. Manmohan Singh. In the event, Dr. Manmohan Singh in his speech referred to the University as a Magnificent University. The University was ranked 36 in India overall by the National Institutional Ranking Framework (NIRF) in 2018. Andhra University College of Pharmaceutical Science was rank at 28th position in India in the pharmacy ranking by NIRF. In 2018 the University was ranked 801-1000 in the world by the Times Higher Education World University Ranking.